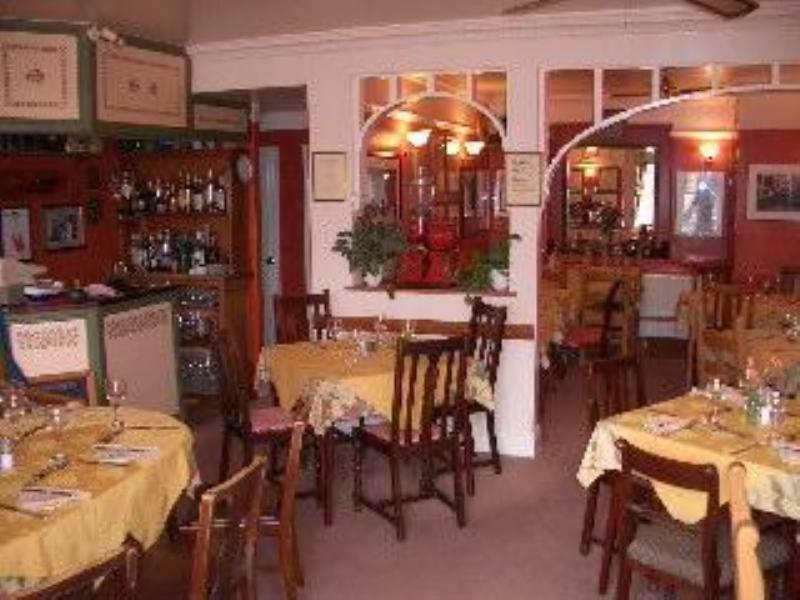 Paysanne celebrates its twenty fifth anniversary in 2013, and it is still serving honest French provincial food to the denizens of Deganwy and beyond. 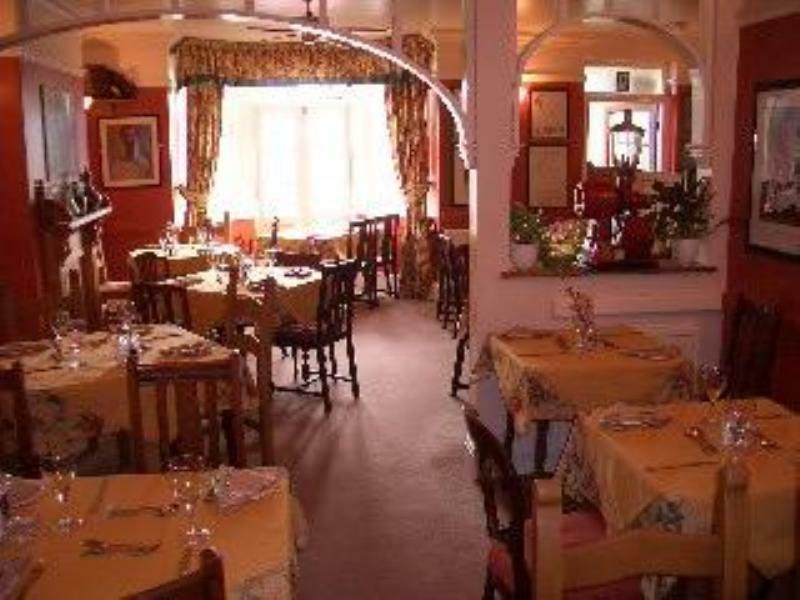 A pleasing location overlooking the River Conwy is one of the assets at this neatly attired, family-run restaurant, which also stands directly opposite the town's tiny railway station. 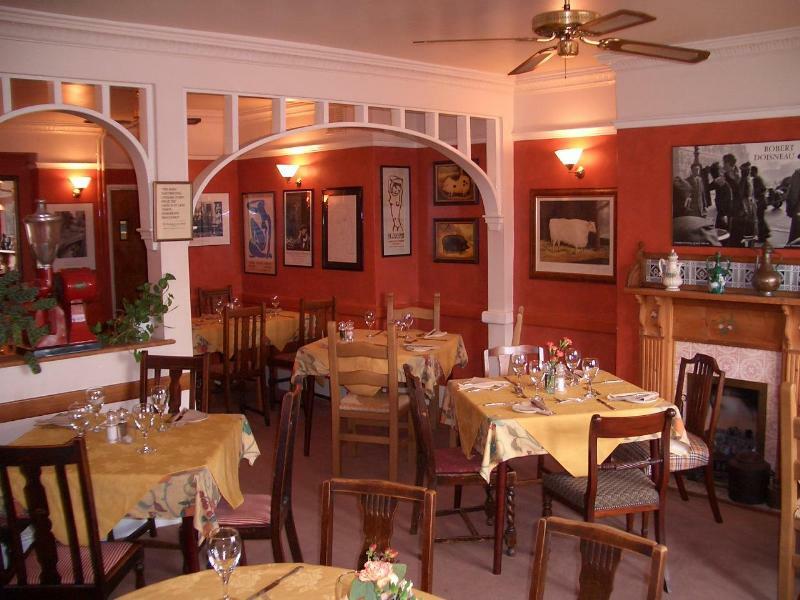 The kitchen makes good use of indigenous Welsh produce (especially seafood) for menu that offers a safe run through the traditional repertoire. Conwy mussels (cooked in classic style) are a big favourite, but the seasonal menu also promises the likes of smoked duck breast salad with walnuts and croûtons, entrecôte steak with Café de Paris butter, guinea fowl chasseur, and ragoût of venison with red wine and juniper berries. 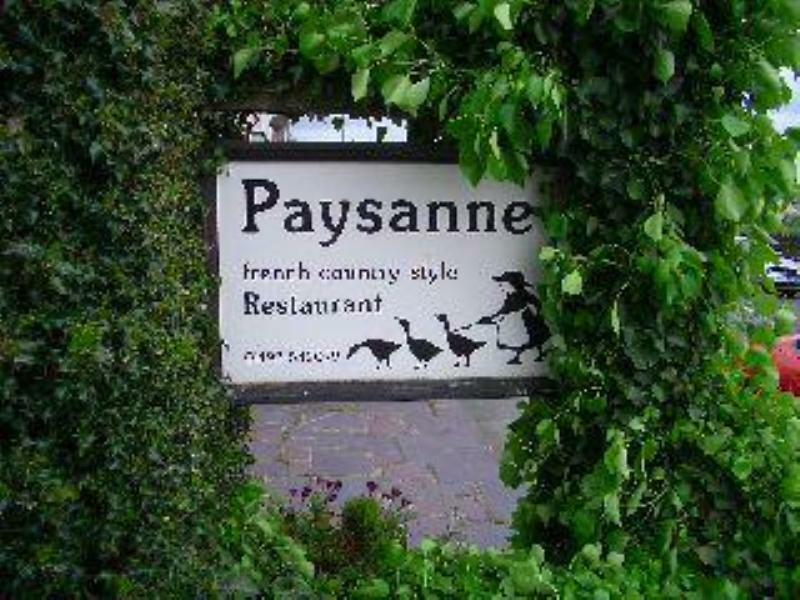 Paysanne also bills itself an a 'specialist shipper of fine French wine' - thanks to the efforts of Bob and Barbara Ross, who originally set up the restaurant and personally source interesting stuff during their travels. Their thoughtfully assembled list sets things off admirably. pea shoots and a mango coulis. Six French snails cooked in garlic & chilli butter. Baked goat's cheese wrapped in smoked salmon and served on toasted Ciabatta bread. Roast field mushroom stuffed with Stilton, bacon & onions and wrapped in puff pastry. Served with a port coulis. creamy wholegrain mustard and apple sauce. Potted crab topped with brown shrimps set in mace & nutmeg butter. Served with toasted soda bread. Fillet of smoked trout served with celeriac remoulade and pickled radishes. Roasted supreme of Guinea fowl with bacon, served with a rich red wine & plum sauce. Pan-fried escalopes of pork fillet, served with a prune & Armagnac sauce. Baked Asparagus in puff pastry set in a cream, cheese, egg and chive mix. Roast lamb rump served pink with a red wine and rosemary sauce. Baked salmon served with bacon, sautéed leeks and lemon butter. 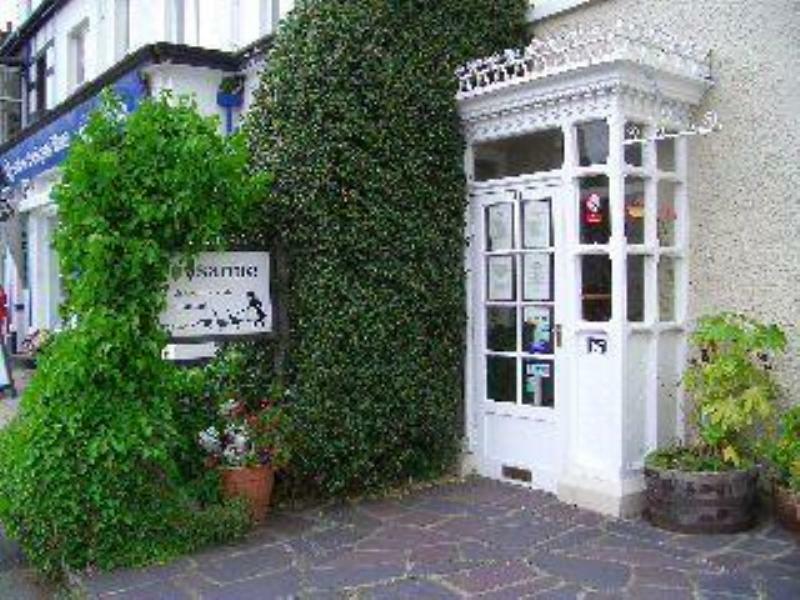 A choice of fresh fish from our good chums at Mermaid Seafoods in Llandudno. Half a honey-glazed roast Gressingham Duck, served with a red wine and kumquat sauce. Welsh beef Sirloin from Gwalia House butchers, griddled to your specifications. Served with either a Peppercorn Sauce or Horseradish Butter. Raspberries and meringue with cream, passion fruit and toasted nuts. Poached Pear in red wine with star anise and cinnamon. Served with Vanilla Ice Cream and chopped hazelnuts. Mini Crème Brûlée, Macaron and red-fruit jelly served with a shot of espresso. St. Agur, Manchego, Camembert & Port Salut. Served with grapes and biscuits. Fresh filter coffee served with mint imperials and dark chocolate.